Clare Strand is an academic photographer. Simultaneously archival and artistic, her works are a culmination of extensive, avid research. Strand has a long, complex relationship with photography; often engaging with its limitations rather than its unique capabilities. 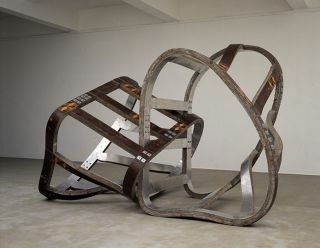 Her latest exhibition ‘Getting Better and Worse at the Same Time’ employs kinetic machines, film and photographs to further explore her discordant relationship with the medium. 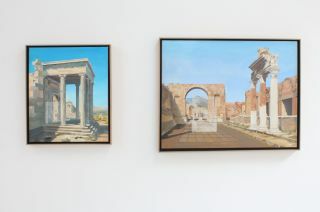 While Strand’s work utilises a slick, monochrome aesthetic associated with modernist and contemporary art, this exhibition explores a reverse trajectory which opposes the necessarily Hegelian conventions of cultural display. 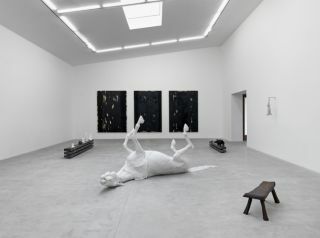 Instead, Strand investigates the conditions and consequences of entropy; the unremitting destruction of image. 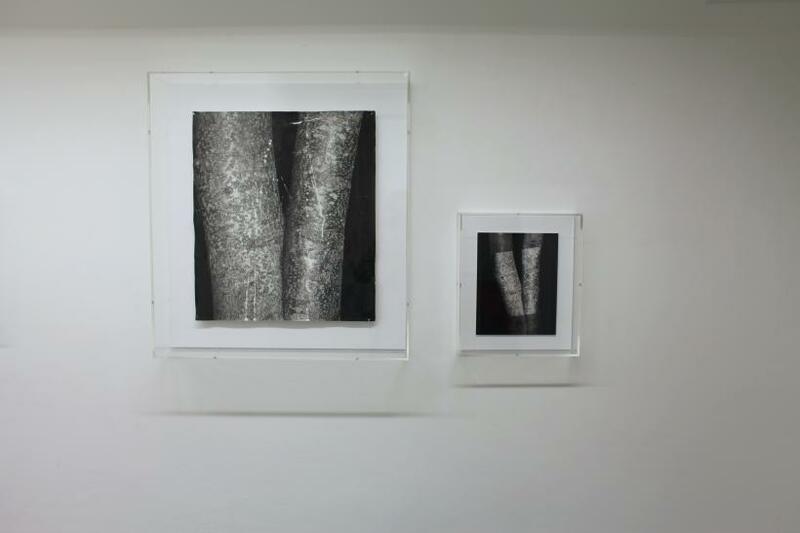 Specifically through the agency of a series of mechanical devices, Strand manufactures conditions for viewing in order to manipulate and erode the images they house. 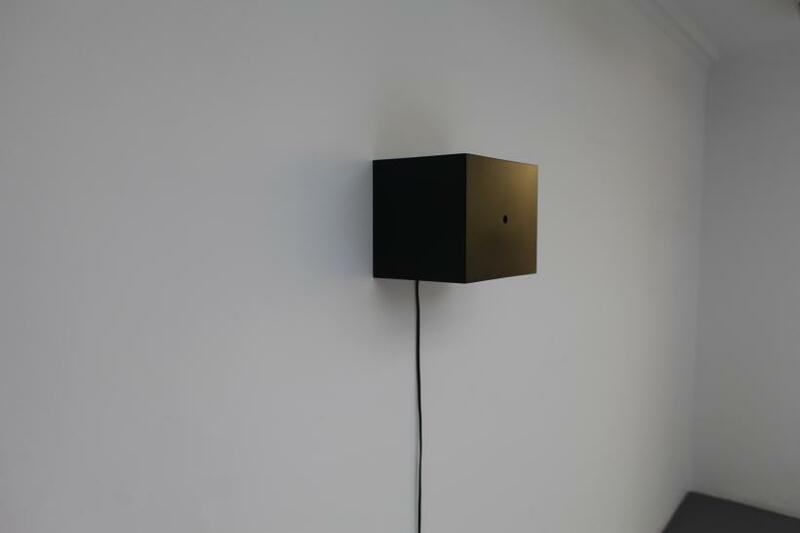 These machines - ‘The Entropy Pendulum’ and The Happenstance Generator’ - are the focal point of the exhibition, and demonstrate Strand’s move to articulating her ideas through movement rather the static image. 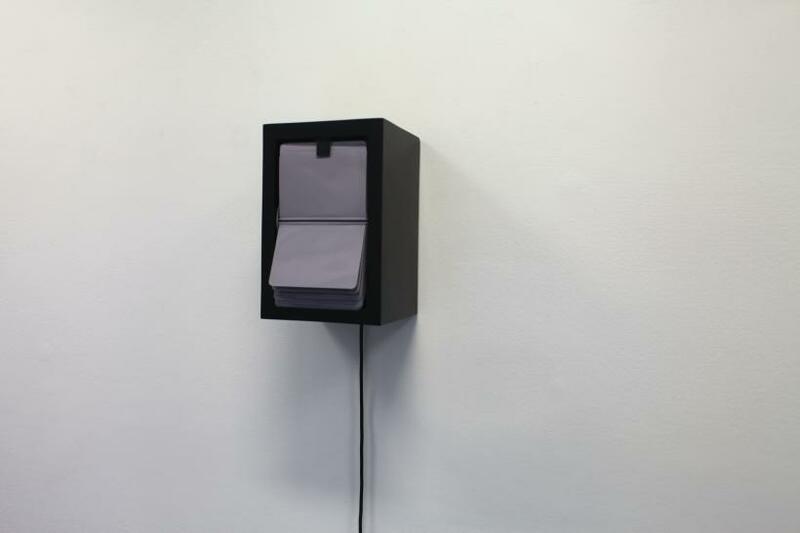 Each day a different archival print is positioned under the constantly swinging weight of ’The Entropy Pendulum’. 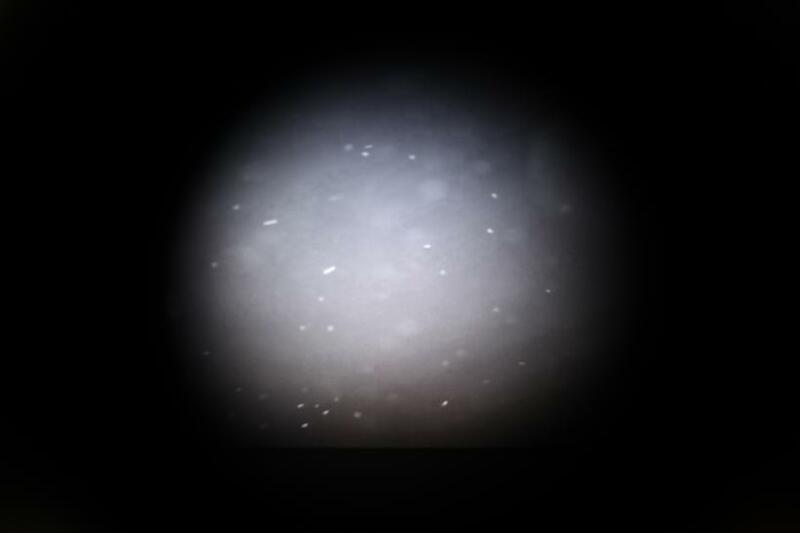 As the abrasive arm swings back and forth, it rubs against the image, so that it is gradually erased. 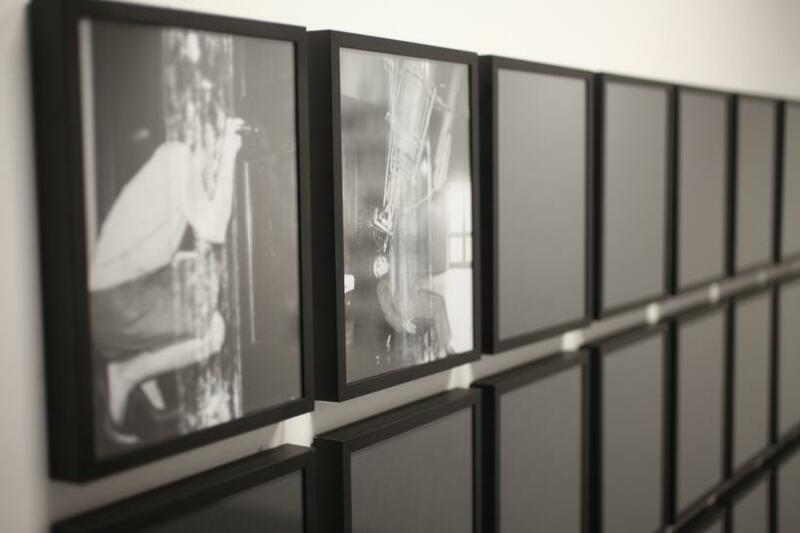 Each “damaged” photograph is then placed in one of 35 empty frames on the wall. 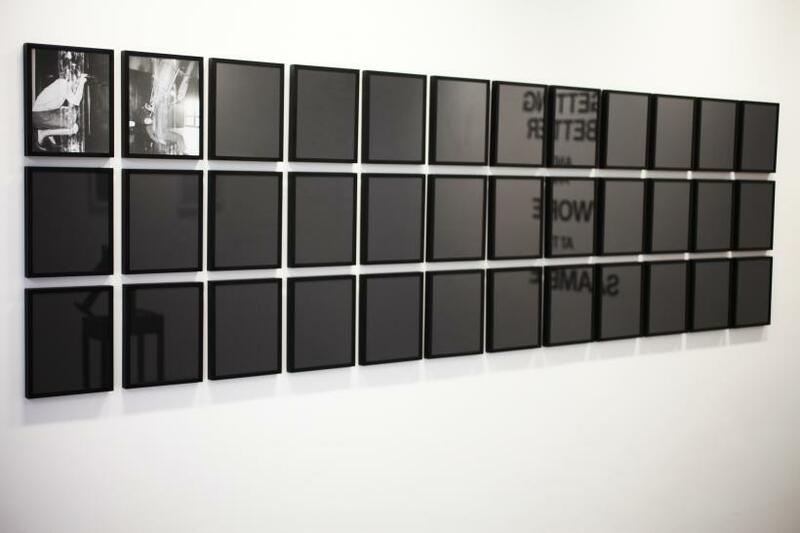 Thus, the destruction of each image contributes to the creation of a new series of works; a monument to artificial decline. 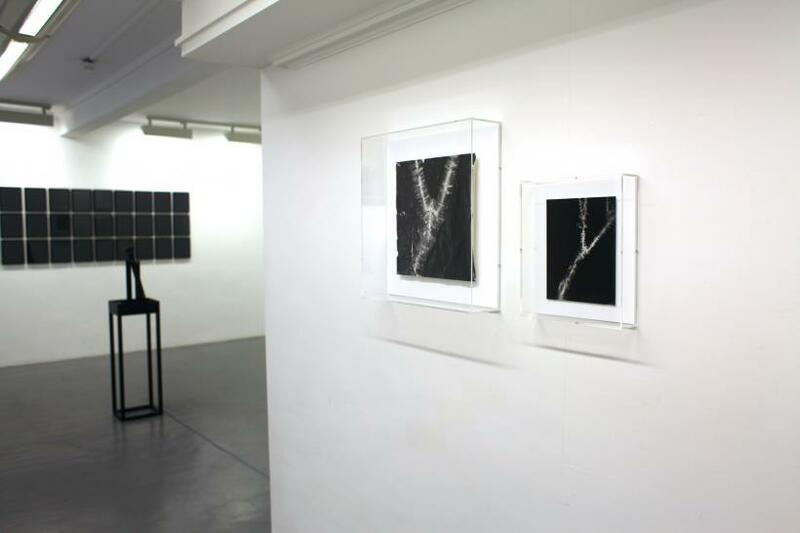 Strand has carefully selected the prints which will endure ‘The Entropy Pendulum’ throughout the exhibition. Originated under specific conditions each image was, at point of creation, crucial to the understanding of a societal issue. Strand here investigates photography’s innate and unrivalled capability to record. Once an archival image’s surface has been obliterated, it becomes irrevocably redundant. However, the simple notion of photograph as record is arguably now historic itself. Strand subverts this idea of photograph as document; exploring the perimeters in which we now experience and understand imagery. 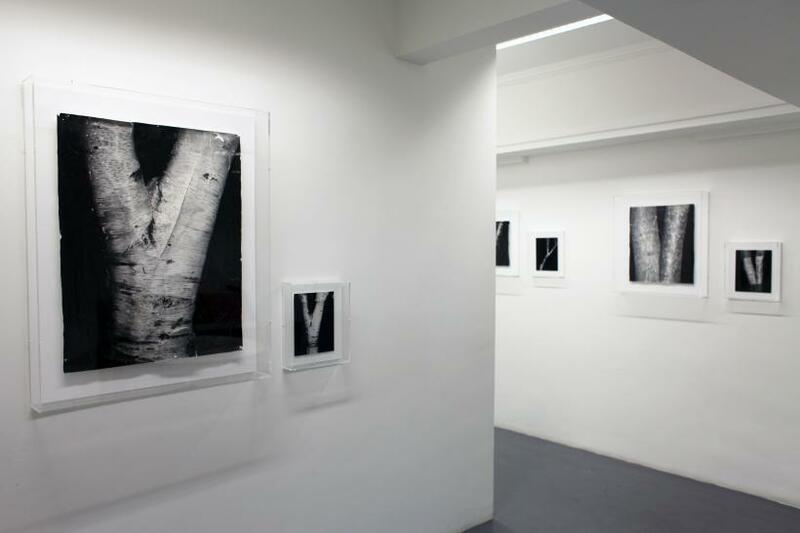 While her work challenges photographic authority it also celebrates its unique ability to communicate immediately. 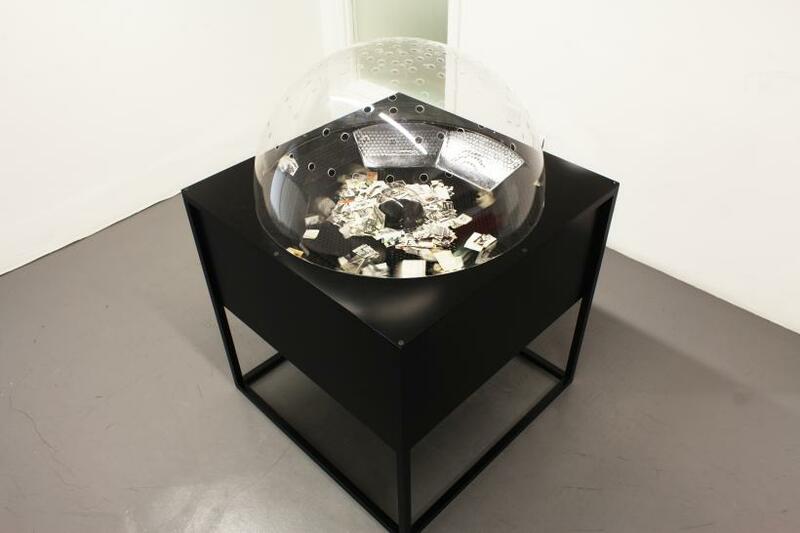 ‘The Happenstance Generator’ is a large Perspex chamber containing a selection of Strand’s research images, which are blown about by hidden fans. The machine intermittently thrusts the clippings into a vortex, randomly propelling fragments towards the transparent surface before they are repositioned by the movement of the air. This sequence of flux mirrors the manner in which data and image sequences appear and disappear and grow and diminish; cultural importance no longer a stable attribute, but one which is re-transformed and re-addressed every day. Through unexpected yet calculated means, Strand has managed to articulate the paradoxical notion that the dissemination and consumption of images is progressing and regressing at the same time. Photography is both thriving under and suffering from technological advances. Similarly, the legitimacy of the photograph is paradoxically steadfast in a world of potential digital manipulation yet openly questioned. We are exposed to an incalculable number of images - devised, mediated and published in hundreds of ways. Yet, it is this ubiquity; the erosion of evidence, history, war, social media, popular culture - any incentive for recording a particular image - which results in our inability to witness imagery within a singular framework. 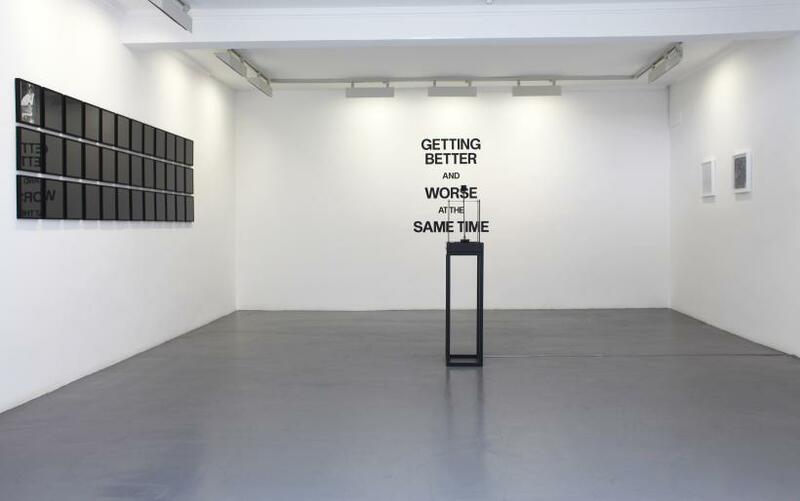 ‘Getting Better and Worse at the Same Time’ is a perfect articulation of the increasingly mutable nature of the photographic image; simultaneously struggling and thriving in contemporary culture.